Now with new green wraps G.Loomis NRX fly rod is the culmination of what we have been doing at G.Loomis since day one. We have been continually striving to build the best rod on the planet. Laminates, resin, mandrels, components and the know how you expect from us. These NRX rods look like nothing we have built before. They feel better than anything we have built before. We aren't talking about a little better here or a little lighter there...What we are saying so there is no confusion... " The G.Loomis NRX Trout Fly Rod is the Best Fly Rod Ever Built!" Period!! 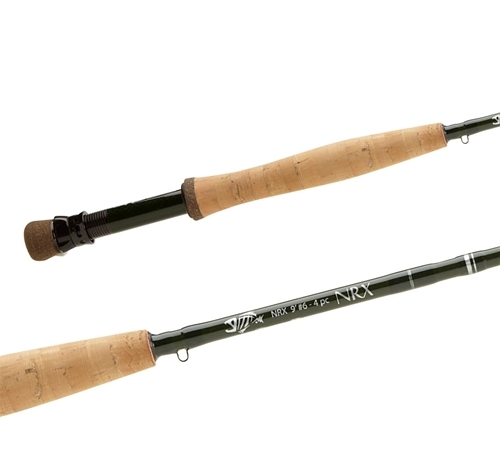 G.Loomis NRX Trout Fly Rods are very precise, lightweight trout rod designed for casting small dries and nymphs on large freestone creeks and small rivers where long casts are a factor, but where accuracy is the key. G.Loomis NRX makes it as light as the proverbial feather, allowing you to cast all day long and hardly notice the rod in your hand. Whether it's lake fishing or stream fishing... trout or panfish, this may be the lightest, most technical 3-weight on the market.